Anyone that loses 100 lbs and goes on to finish in the top spots of the worlds toughest ultra running races (Badwater) can be called a true FREAK. But get this — he says that he hates to swim, hates to bike, hates to run and still does them all on a daily basis—precisely because he hates to. Not only is he physically fit — his mind is also wired at a very high level. The more empowered you are, the more you’ll function like an elite warrior like Goggins. Watch in the video below as Navy SEAL David Goggins, talks about mental toughness and why it’s not about winning, it’s about NOT quitting. According to Triathlete Europe.com “Every day, he’s up and running by 3 a.m.
After a 20-mile run, he bikes 20 miles to work. He runs at lunch, if he can. Then it’s back home (on the bike, of course) to join his wife for weight training in the gym. He’s in bed no earlier than midnight most nights. And he doesn’t let anything stop him. In May 2010 his doctor discovered a birth defect that caused a hole in his heart. In any other person the best you can function at is about 75%. You also can’t SCUBA dive or do anything at a high altitude. Goggins had surgery to repair his heart and still pushes himself to the max on a daily basis. David says he does not like to run or exercise but his goal is to raise funds for the Special Operations Warrior foundation. QUESTION: What is a good book that can help me learn the relentless drive that David has? 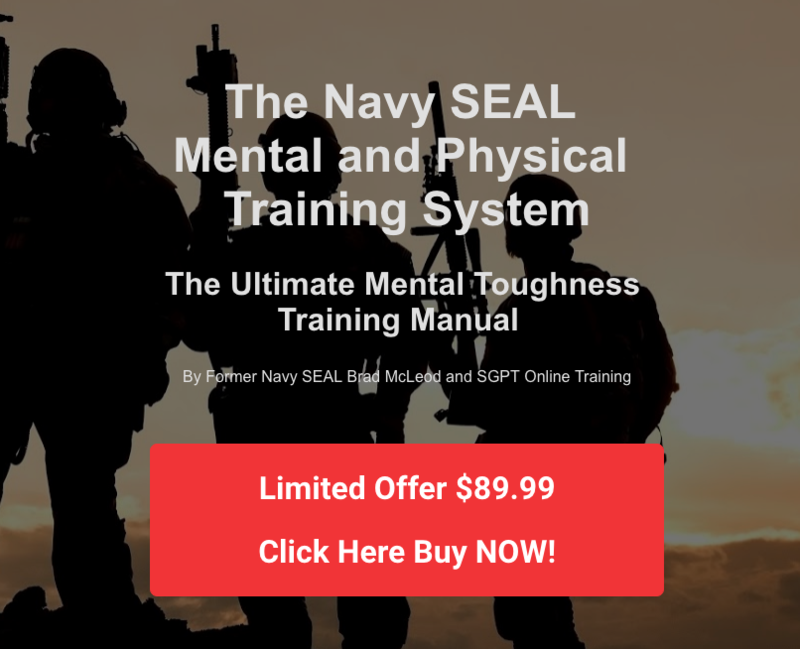 ANSWER: Check out the book Living with a SEAL: 31 Days Training with the Toughest Man on the Planet and you can learn more about David and how he trains the mind and body. There are many life lessons that you can learn from this book and apply them to your training and life. 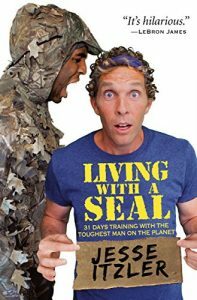 I was able to meet Jesse Itzler in 2018 at the Spanx headquarters in Atlanta and turned out to be one of the best talks I have heard all year. What an opportunity to train daily with a top level elite athlete with David living and training out of Jesse Itzlers home for a month. QUESTION: What is a pull-up ladder I can do that is similar to Navy SEALs and what David does? ANSWER: Check out this Pull up pyramid 1-2-3-4-5-6-7-8-9-8-7-6-5-4-3-2-1. Now go run 6 miles on a trail with a lot of elevation. 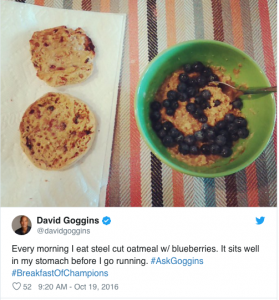 Recently he posted up on twitter his morning diet of steel cut oatmeal with blueberries. He has also mentioned a protein shake with strawberries and bananas. – Wake at 3:00 – 4:00 a.m.
Quote: Motivation is crap. It comes and goes. Find what you’re passionate about. Then you can be driven. When you’re driven you don’t give a damn. QUESTION: What kind of running shoes does David Goggins wear? 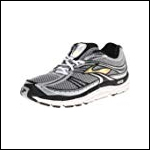 ANSWER: He only wears Brooks Addiction running shoes running shoes for long distance endurance events. 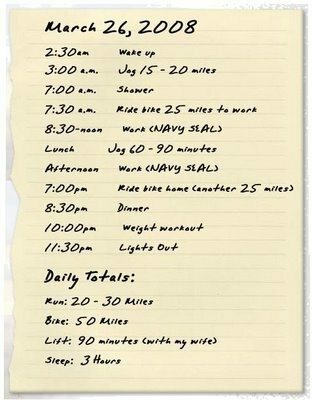 QUESTION: How many miles per week does David Goggins bike? ANSWER: He bikes around 150 miles a week. That’s 8,000 – 10,000 miles a year. 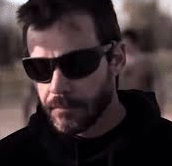 QUESTION: Why did Goggins decide to do the Badwater race? ANSWER: He googled the ten hardest events and that event came up on the top. I was listening to his podcast interview with Joe Rogan and he talked about how he decided to do that race. Question: I dont get enough greens in my diet and would really like to improve my nutrition and recover quicker from the gym. Do you have any good suggestions? Answer: I personally use Athletic Greens as a green supplement to my daily nutrition. QUESTION: Where can I find out more info about joining the Navy SEALs? ANSWER: Check out the US Navy SEAL/SWCC website here. 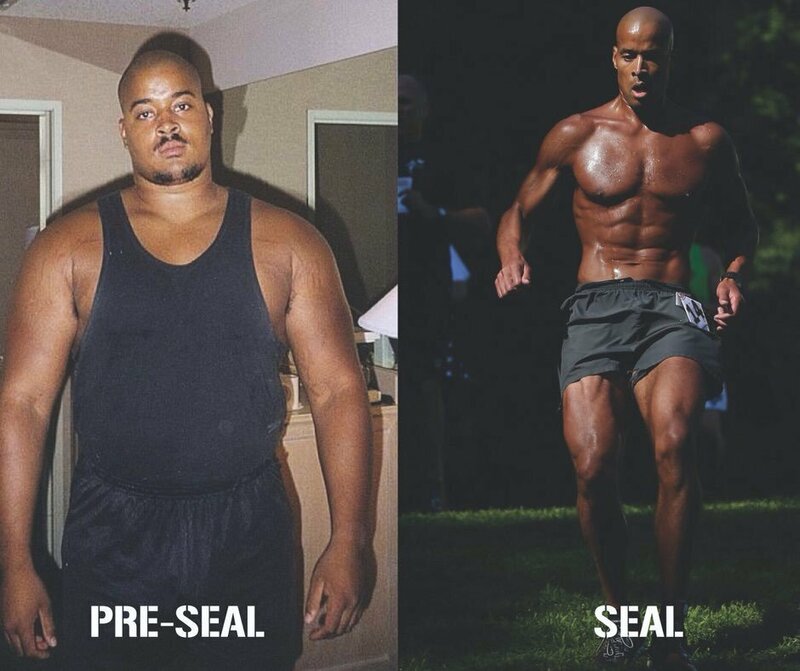 US Navy SEAL David Goggins: The Power of FU#* IT! Fantastic post. 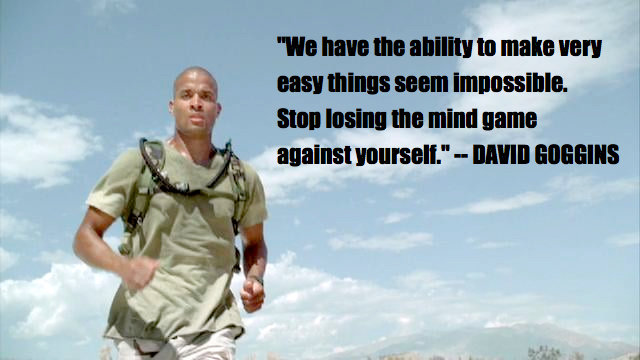 I really find David Goggins inspirational. His take on “Winning,” versus “Quitting,” is something that really resonates with me. I’ve been to Kokoro twice and quit both times. I still have that knocking around in my head, and I still believe deep down inside that I can finish it. I’ve got it in my head that I need to try once more. However, I need to know myself and be strategic about the approach I take to ensure victory. My first shot at Kokoro was a training issue. Weights three times per week and cardio three times per week to prepare didn’t cut it. I had no idea what I was doing or what I was getting into. The second time was just pure anxiety. I let my anxiety disorder put me in a place of sheer immobility and fear. These are not excuses because regardless of the reason, I quit. However, I need to know what happened to prevent it from happening again. I used to consider myself a quitter, a failure. But then I thought, what’s the point of that? What is the point of all of this? I may have quit both of those days, but isn’t the point to get up and continue? To know that I can do more? To continue to push myself? Learning those lessons have helped me in other areas of my life, and if quitting comes into my head, I think of my experiences at Kokoro to push me through. Below are a few other points I’ve learned. And while some seem obvious, there’s a difference between knowing and doing. Everyone knows that eating too much will make you overweight, yet there are overweight people everywhere. – Mental toughness will help you get through things you didn’t think you’d ever be able to complete. However, you can’t “Kind of be in shape,” and rely on mental toughness to get you to the finish line. – Have a plan, but be prepared for things not to go according to plan. Understand that it will be uncomfortable and chaotic. While contingency plans are important, sometimes you just can’t know what will happen. However, you can prepare your mind to deal with the feeling of your plan going to hell. Get comfortable with being uncomfortable. Try to practice not having a plan to reduce your anxiety and increase your ability to respond accordingly. – Get rid of your ego. The Goggins’ video for example. I can’t compare myself to David. I’m setting myself up for failure. However, I can use his message to realize my limitations, how to start small and build myself up, while becoming the best me possible. I can use his message for becoming extraordinary in my own right. If I try to be like him out of the gate, or compare my 5K victory in “Any Town USA,” to his Badwater Ultra, I’m not really doing myself any favors, nor am I preparing myself for greatness. I’ve got to breakthrough my own barriers at my level. – During my second Kokoro, a host of elite Crossfit Games athletes were there. I kept telling myself, “Man, you gotta hang with them. If not, you’ll hold everyone back. You need to bail.” I was done right out of the gate. Lose the poor me attitude. If this is all about team, what the hell am I worried about me? My plan includes a 20X challenge among a few other things this year. But the proof is in the doing. I’m not a quitter if I learn from my mistakes and go on to finish difficult tasks and goals. Build, build, build and keep building. You’re a great inspiration, Gerald. I suffer with GAD also, and a few things only my Dr can pronounce. But you’re dead on because those are the fears, symptoms, that we are looking for to self propel. I now view them as a gift. Keep up the great work! And NEVER quit.. Every day is progress. Hi Frank. What a wonderful comment. Thank you. You are an inspiration to me as well. I too view these issues as a gift. Wouldn’t it be great if everyone who had these types of issues (or any fears really), purposely put themselves in uncomfortable situations and persevered? Imagine the growth! That’s what minimizes the monster. It creates a new level of happiness that is often so hard to attain. I finally figured out, it isn’t about living in the absence of fear. It’s how the fear is handled, channeled and used. Burned as energy. I often think about how these events (Kokoro, 20X, GO RUCK, etc.) impact people. It’s a wonderful thing, but think about how wonderful it would be for someone who suffers from GAD, Panic Disorder, OCD, Phobias, Depression, etc. to go through these events, an emerge successfully? Monumental. Literally life changing. The little victories. Building daily. Doable, but challenging events to help build up to the more difficult ones. Helping others and being a great teammate. Being strong and kind. Physically and mentally capable. Choosing happiness and creating the habit of enjoying the journey in search of a better you, a better us, a better we and a better team. Goggins is a freakin beast and he inspires the crap out of me. I wanted to do my first ultra this year and he’s the push I needed.Really awesome. Just a note to thank Gerald for his post. Very open, and true for many of us. You’re not a quitter, ever, if you learn and try again. Knocked down 7 times, get up 8. Thank you for your words of encouragement. It’s all about the team. We can help each other reach new levels of personal greatness. Goggins is Inspirational and a very good athlete. Gerard Pool you are not a quitter. Thanks John. I appreciate your encouragement. And I think who the hell I am, WOD’n a few hours a day?! I will always remember David’s words to keep going.